DJ Harvey invited Skream, Peggy Gou, PBR Streetgang, Hot Chip, Felix Dickinson and more to his Discotheque party at Printworks London last weekend (Saturday 19th May). You can check out 10 massive tracks from the event below. Highlights of the party include Harvey starting his closing set with James Brown, before later dropping Eric Prydz’ Pryda anthem ‘The Future’, as well as a mass sing-a-long when Skream played The Reflex’s edit of ‘Ain’t No Mountain’, which prompted one of the UK’s most in-form selectors to kill the sound for its entire chorus. Tracks like Wilson Phoenix’s ‘Got My Man’ and Krystal Klear’s ‘Neutron Dance’, both dropped in the main room, also look set to be two of the biggest tunes of the summer. DJ Harvey won Best Resident at last year’s DJ Mag Best of British awards, whilst Skream recently joined DJ Mag Insights to talk about Printworks, as well as hit #DJMagHQ for a very special live stream. 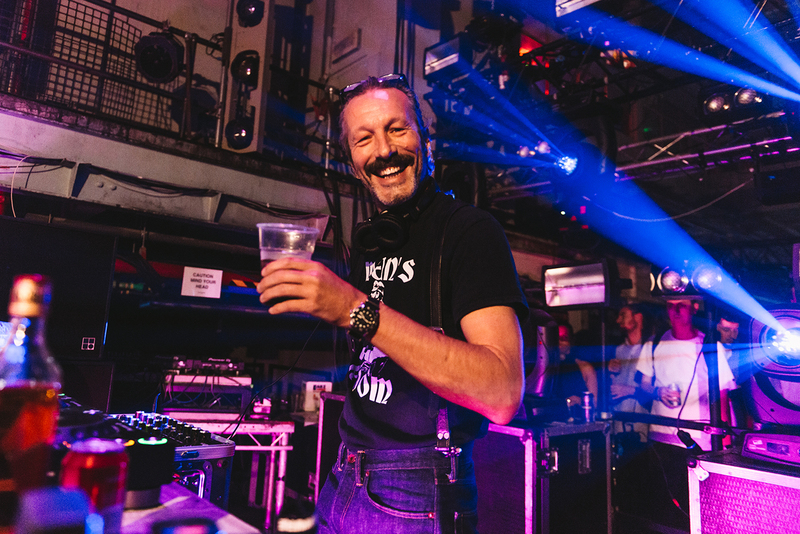 Check out 10 massive tracks from DJ Harvey’s Discotheque at Printworks London below. Photo: Carolina Faruolo / Fanatic Photography. Want more? Check out 46 massive tracks from Amsterdam Dance Event (ADE).